Elpís is the Greek for hope. This is what two students from Edinburgh University are trying to give to refugees living in Greek refugee camps. Currently 850,000 refugees are living in Greece which makes competition for electricity a real concern. Refugees have taken to hot wiring lamp posts to charge their phones. Alexandros Angelopoulos and Samuel Kellerhals wanted to change this story and founded Project Elpís earlier this year. 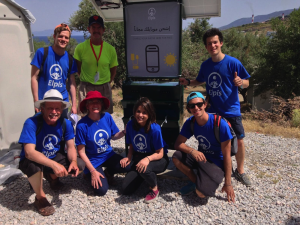 They just installed their first permanent solar mobile charging unit in the Kara Tepe refugee camp in Lesvos. 24 phones can be charge every hour. 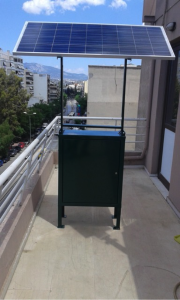 The unit is self-powered and mobile making it easy to position and move if necessary. Supported by Edinburgh University Chaplaincy, the Elpís team have plans to expand and they need your help. Check out their IndieGoGo page to find out about their plans to install more charge stations in refugee camps.